2018 Kia Stinger, Nissan Leaf are "Furthest Ahead of Its Direct Competitors"
The Society of Automotive Engineers has awarded the Kia Stinger and Nissan Leaf with the inaugural J.D. Power Automotive Engineering Awards. The award, which is based on consumer evaluations from both the J.D. 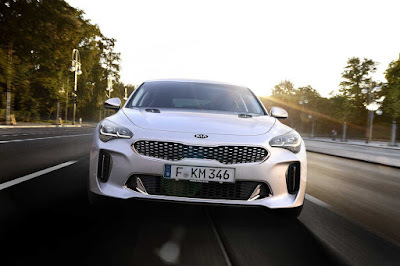 Power Initial Quality Study and the APEAL Study, is given to vehicles that are “furthest ahead of its direct competitors.” Nissan’s second-generation Leaf won for the Highest-Rated Vehicle Redesign while the first-ever Kia Stinger won for Highest-Rated All-New Vehicle. According to J.D. Power, both recipients are proof that engineering teams understand what customers are saying, why they are saying it, and then come up with a product that really answers their needs.